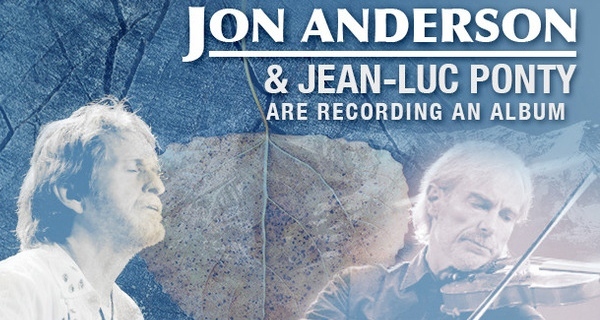 Music legends Jon Anderson and Jean-Luc Ponty announce the formation of a new music ensemble- The Anderson Ponty Band! YES’s original singer/songwriter for 35 years, Jon Anderson has had a successful solo career, which includes working with such notable music artists as Vangelis, Kitaro, and Milton Nascimento. International jazz superstar Jean-Luc Ponty is a pioneer and undisputed master of violin in the arena of jazz and rock. He is widely regarded as an innovator who has applied his unique visionary spin that has expanded the vocabulary of modern music. Together these two music icons form a musical synergy that is unparalleled! The Anderson Ponty Band will visit the music created by Jon Anderson and Jean-Luc Ponty over the years with new arrangements, virtuosic performances and new energy, while creating new compositions as well. The Anderson Ponty Band have been writing and arranging old favorites during the past three months. They’ll be in residence for three weeks in September at Wheeler Opera House in Aspen, Colorado rehearsing, recording and playing a public performance on Saturday September 20th. The album will be finished in Los Angeles and is scheduled for release in early 2015. Also, a videography documenting the making of the album will be released as well as videos and performances. A world tour beginning in March 2015 is in the planning stages.